As they say ‘Gardens are never finished’. 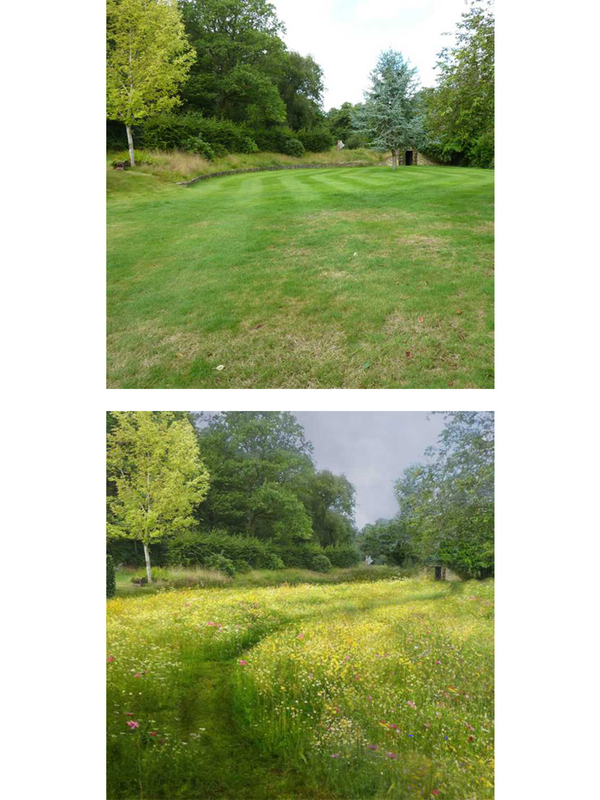 I am especially passionate about creating naturalistic planting for people who would like their gardens to evolve, develop and be wildlife-friendly, rather than just be maintained and kept tidy. Ideally when I design a garden or a section of a garden I like to be involved in its continuing development. The design drawings, hard-landscaping and initial planting are just the beginning; developing, editing and adding more layers over time is what I find most satisfying. Planting is a process and is constantly changing even in well designed gardens so needs to be managed, edited and rejuvenated to reach its full potential. I often have my best ideas whilst gardening, rather than at the drawing board/computer screen, so continuing the outdoor and physical activity of gardening helps my creative process. Frothy coffees and cake make my ideas flow even faster – fortunately whilst working in the “green gym” we don’t have to worry so much about our calorie/sugar intake! I have a few freelance gardeners who work with me, which enables me be involved in wide a range of projects. We plant more of what is growing happily and weed selectively, thus allowing the desirable plants to seed and spread over time, creating a more naturalistic feel. By adding bulbs, biennials and annuals each year, we create high-density, multi-layered schemes that are continually evolving. We garden organically and love composting and mulching, not only to improve the soil structure, but also to retain moisture and suppress unwanted weed seedlings, thus reducing maintenance. A few of the larger gardens I am involved in already have a gardener who cuts the grass and hedges, or the clients like to do a bit themselves. So we are able to concentrate on editing and improving the planting. As a result some gardens only require monthly or seasonal visits.